Game to go! If you want to be puzzled, head for this shop! 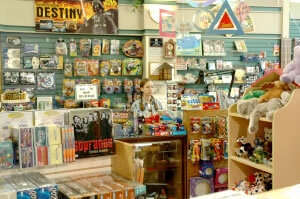 Located in the historic Liberty Building in downtown Spokane, Uncle's has a large selection of jigsaw puzzles, brain teasers, board games, playing cards, party games, dominos, chess sets and more. Monopoly fan? There are so many versions of Monopoly to pursue, that you'll totally forget to collect $200 when you pass go! Enough playing cards to fill many hands.